Perfect for if you’re just starting out with a caravan, or even if you’re looking for a few accessories to make things easier, this brilliant Beldray kit is sure to impress. 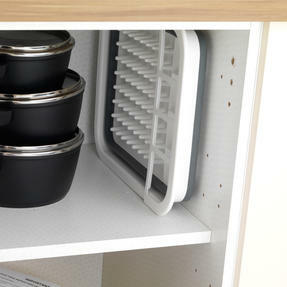 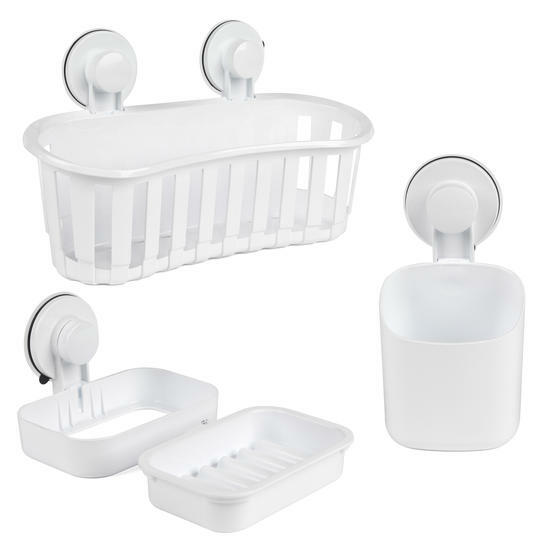 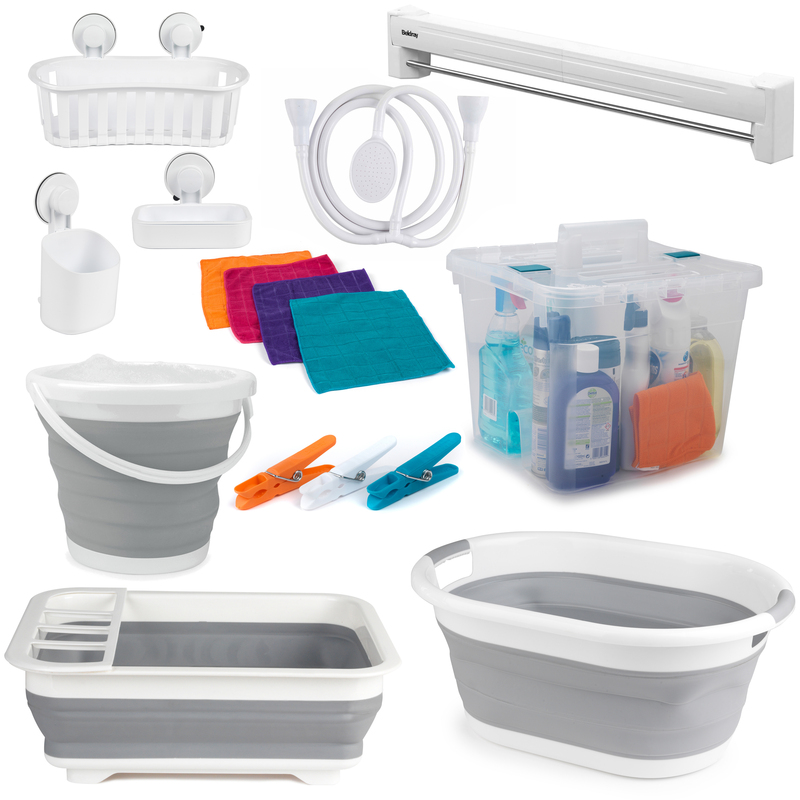 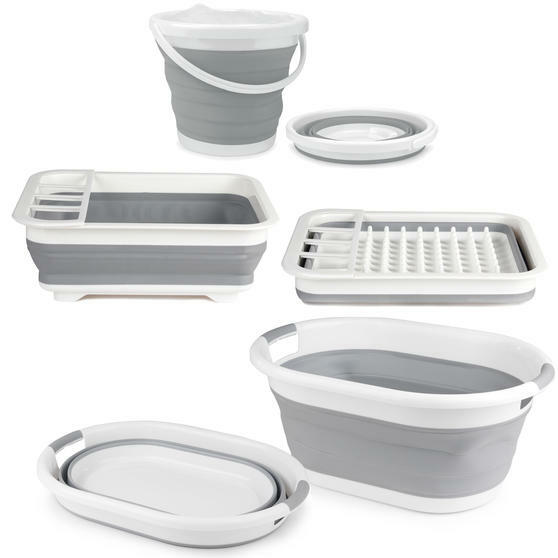 This set includes collapsible storage solutions such as a dish drainer, laundry basket and bucket, plus plastic suction cup storage solutions for small bathrooms. 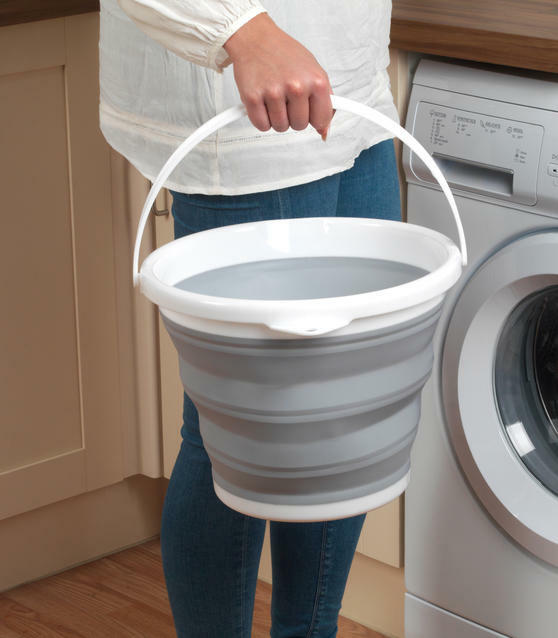 In addition, the set comes with a push-on mixer tap shower, microfibre cloths, storage caddy, wall mounted airer and 100 pegs – everything your caravan might need. 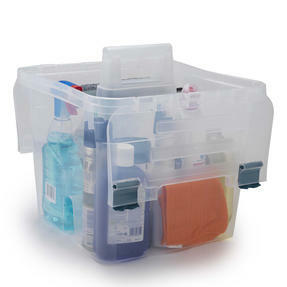 A fantastic starter kit for your caravan, this set includes various accessories designed to make your time away easier. The collapsible range includes a basket, bucket and laundry basket made from durable plastic with strong handles. Additional plastic suction cup units can be used in caravan bathrooms to store the essentials such as tooth brushes, soap and more. 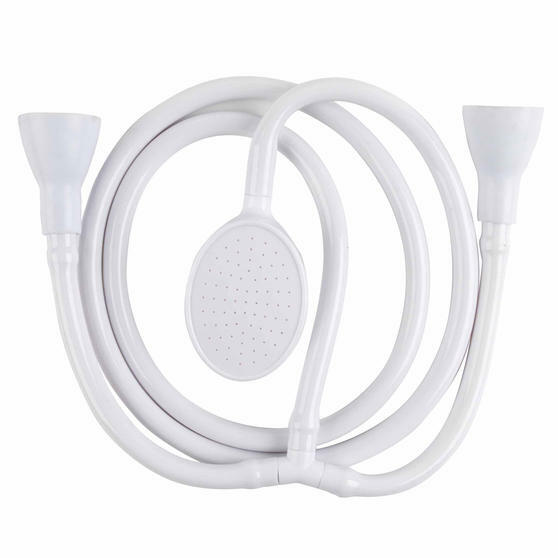 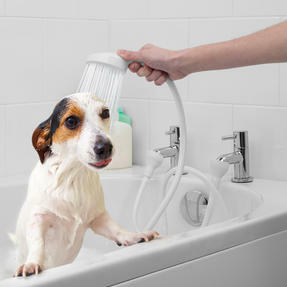 The 150 cm mixer tap shower fits most standard basin taps, simply attach each connector to any two taps and create a makeshift shower. 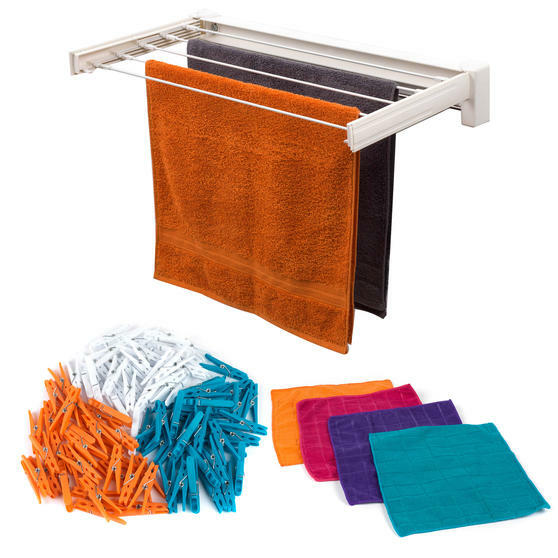 The caddy, microfibre cloths, clothing line and pegs have been developed to help with essential daily tasks to make things simple.